Maui Electric Company, in partnership with commercial and industrial customers, filled the current capacity of its expanded Fast Demand Response program this month. The program is designed to help participating businesses save on their electric bills while they help the company maintain stability on the electric grid and use more renewable resources. Last July, the Public Utilities Commission approved Maui Electric’s proposal to expand its pilot Fast DR program that incentivizes large commercial customers through bill credits for designating loads that can be removed from the grid during critical energy situations with 10 minutes or less notice. Participants work with technical coordinators to identify customer-sited resources such as back-up generators, behind-the-meter batteries and load curtailment to use in these situations. Fast Demand Response is designed to keep the grid stable and prevent outages if there is not enough generation to meet demand, including when output drops from intermittent renewables such as solar and wind, by quickly reducing energy use until additional generation is brought online. Temporarily postponing the need to increase conventional generation helps reduce costs and dependence on imported oil. Additionally, it can be used in emergencies if there is not enough electricity generation to meet demand. 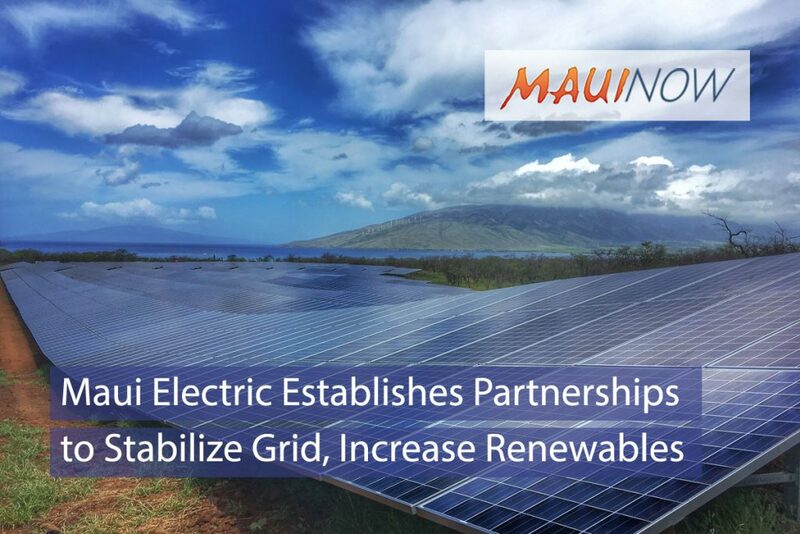 Maui Electric requested the expansion from 0.2 to 5 megawatts to make up for back-up power reserves lost when Hawaiian Commercial & Sugar Company closed in December 2016. With customers now volunteered for the full 5 MW, specialized demand response equipment is being installed at 24 participating sites on Maui. Fast DR partners receive monthly credits of $5 per kilowatt enrolled and $0.50 per kilowatt-hour actually implemented. A minimum of 50 kW of predesignated electric reductions was required for participation, with a cap of 40 event hours per year. Fast DR partners include the County of Maui, Fairmont Kea Lani, Honua Kai Resort & Spa, Hyatt Regency Maui Resort & Spa, Marriott Residence Inn Wailea, Sysco Hawaii, the University of Hawai‘i Maui College, and VIP Foodservice/Island Grocery Depot.